Fall is quickly approaching and all of our programs have officially begun! We’re very excited for another semester with all of our children, and have much desire to see them grow and develop as people and as children of God. This semester we have 8 children registered in our kindergarten; three 2 year olds, one 3 year old, two 4 year olds and two 5 year olds. Although there are challenges with such a young and mixed group, the goal is still the same- to prepare, help develop and teach these young children. In kindergarten these children get invested into with a godly, Christ centered way of instruction. A meal is fed each day, and the kids leave happy and ready for another day! After-school grew this year! As our 7th graders moved into the 8th grade, our classes expanded to grades 0-8. We have seen such growth and development in these children. Many of these children are in families where educated isn’t important, so without this program, most wouldn’t be doing their homework, understanding their lessons, or even going to school at all. Seeing children finally understand a problem or learn that they can learn is priceless! We look forward to seeing these young ones continue to grow in education and confidence. The kids come in with much eagerness, eat a warm meal, and then spend the following 2 hours to complete home work! Step-By-Step also added a new class into the group! It is now grades 6-8 and has about 15 children that attend. It’s always a fun time with these kids where they get to snack, play games and open the Bible and learn to study and understand the Word of God. It’s really our desire in this group to see young children realize that they, too, can have a personal relationship with Jesus and learn to walk with Him at a young age. We have many exciting lessons and activities planned for the coming semester! The village programs have also begun! We have had several changes and challenges confront us this semester, but we are asking the Lord for His wisdom and ability to overcome all the challenges. 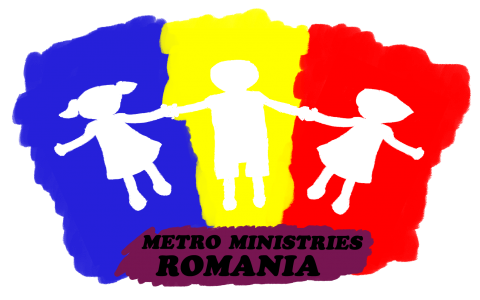 We are still involved in ministry’s neighborhood of Golberich, Șaeș, Netuș, Daneș and Laslea. We have much expectation for this semester, and pray that God will bring change to these children’s hearts and lives. Please be in prayer and agreement with us as we begin this Fall semester of programs! Each program has its challenges and we want to see the Lord be glorified in all that we do. We greatly desire to see children’s lives transformed through love, education and the Gospel.